Aeration is an essential ritual for young wines to express all their aromas and to release their bouquet. Each Peugeot aerating carafe provides optimal oxygenation, which is necessary for the balance of wines in the making. 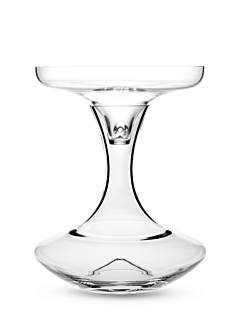 The Peugeot aerating carafe features noble lines and generous curves. 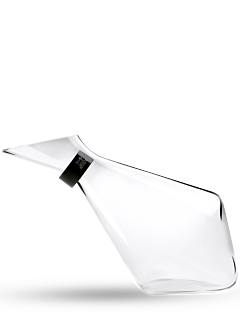 The broad base, captain’s shape, and duck shape, optimally increase the surface area for contact between the air and the wine. 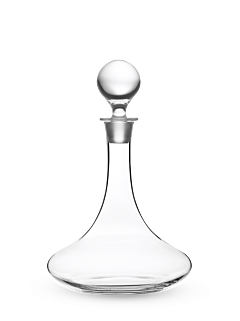 Its neck tightens and then flares to better concentrate and spread the aromas that are awoken through the aerating process. 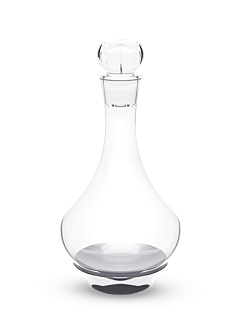 Thus, young wines, whether red or white, will benefit from being transferred into a Peugeot aerating carafe, as the bouquet will be released, the wines will appear more open, softer, while the entire wine will be more harmonious with balance between its different components, and finally any reduced notes due to its confinement in the bottle will fade away.